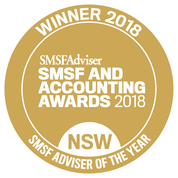 One of the clear benefits of having a SMSF is the ability to implement strategies across member accounts without affecting current investments or dealing with multiple super fund administrators and their cumbersome paperwork. Super Splitting is also another way that an SMSF Specialist Advisor™ can show clients the advantage of using a professional for advice. One of the most significant changes to the system was the introduction of superannuation contributions splitting from 1 January 2006, which allows superannuation contributions to be split or shared with a spouse. This does assist couples to maximise the benefits available in super and provide an avenue for spouses to share in super benefits or equalise balances. It is of most benefit to low-income or non-working spouses by allowing them to control their own super and have their own income in retirement. Accessing higher lump sums if retiring early: If you’re both planning to retire under the age of 60 and take all or part of the super benefit as a lump sum, then each spouse can access their own tax-free threshold for lump sums (relating to the taxable component) of $200,000 (for the 2018/2019). Paying insurance premiums for a non-contributing spouse You can use contribution splitting to help pay your spouse’s personal life, TPD and Income Protection insurance premiums through super, so both you and your partner may be able to afford the right level of cover. Especially useful is one spouse self-employed and still getting a business of the ground so cannot afford to contribute to continue cover. 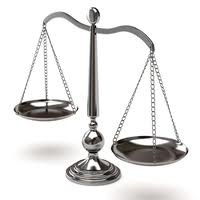 Increasing your age pension entitlements An older spouse may qualify for a higher age pension by splitting super to a younger spouse to exempt assets from Assets Testing. This means you may qualify for a higher age pension entitlement until the younger spouse attains pension age. Assets held in superannuation accumulation phase by pensioners and those on other allowances who are between 55 and age pension age are exempt under both the Income and Assets Test. Access tax free income from age 60, sooner A couple with a spouse who is aged 60 or over may access tax free payments earlier to fund earlier retirement. Improve after tax income and/or reduce debt earlier. In the case of a couple with one partner aged 60 or more, splitting contributions to the older spouse may enable earlier access to tax free income. This is because effective from 1 July 2007 super benefits have been paid tax free after a person attains the age of 60 and retires. (They can also take up to 10% of their balance while remaining at work via a Transition to Retirement Pension) This strategy can help increase the total income a couple is living off simply through splitting their contributions to the older spouse. The younger spouse splits their contributions with their older partner who once attaining the age of 60 is able to access these additional contributions earlier and tax free. This may benefit the couple by effectively reducing their overall assessable income. This is something to be thinking about now even if you are in your 30’s and 40’s as think of the tax and interest saved on being able to access tax free income or pay down a lump sum off your mortgage a few or more years earlier. if they are between their preservation age and age 65, have not retired under superannuation law. You can split-off up to 85% of your concessional contributions to your spouse, which includes your SG and salary sacrifice contributions and up to the concessional contributions cap. You have until 30 June of each year to split contributions for the previous financial year. This means you have until 30 June 2015 to choose to split a contribution made in the 2013/14 financial year. You can also split contributions for the present financial year even if your entire benefit is to be rolled over, transferred or withdrawn. If you are making a personal deductible contribution then make sure you have submitted the notice to claim a deduction before the Super Splitting request. A Superannuation Splitting request can be made to an SMSF by simply submitting a letter to the Trustee in writing stating the amount you wish to split to your spouse’s account. I recommend the Trustees minute the request and approve it with advice to the administrators to implement the split when completing the financials. 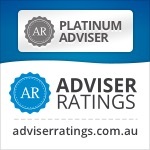 It is recommended that you seek expert advice from your financial adviser (SMSF Specialist Advisor™) before deciding if this strategy is right for you. As always I welcome and yes crave feedback! Also appreciate those who re-tweet educational material for the benefit of all in the sector. We have offices in Windsor and Castle Hill and are always happy to meet new clients for a one on one chat either face to face, by phone or on Skype. Just click the Schedule Now button up on the left to find the appointment options.